With the recent update to Gmail, Google added a number of features to its email service. One of the new features is Confidential Mode which allows for the sending of auto-expiring messages -- although, as we have previously noted, it's not perfect by any means. Available on the web version of Gmail for a number of weeks now, the feature is finally rolling out to iOS and Android users. Over on its support pages, Google explains exactly what Confidential Mode is and what you can do with it: "You can send messages and attachments with Gmail's confidential mode to help protect sensitive information from unauthorized access. You can use confidential mode to set an expiration date for messages or revoke access at any time. Recipients of the confidential message will have options to forward, copy, print, and download disabled." 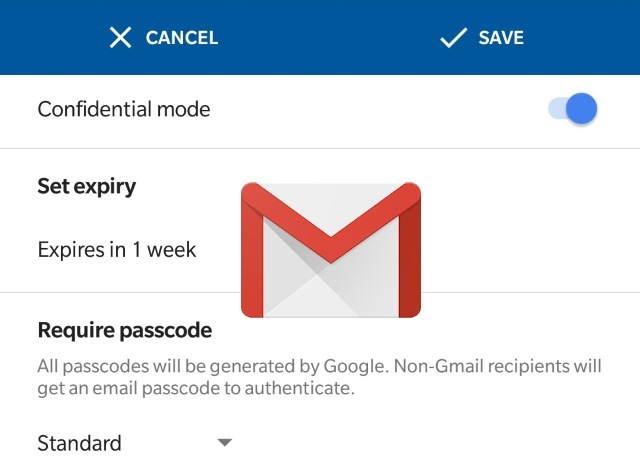 If Confidential Mode has made its way to your account, you can make use of it by tapping the Compose button in Gmail on iOS or Android, and then selecting More > Confidential Mode. After enabling the feature, you can then choose the settings you would like to use.